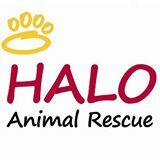 Halo Animal Rescue is dedicated to helping Animals Live on through increased adoption, sterilization and pet care education. HALO is a limited admission or "no-kill" facility that does not accept animals from the public. We believe in serving the animals in greatest need, selecting animals from the euthanasia lists in Maricopa County, primarily Maricopa County Animal Care and Control. 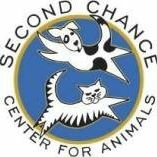 At Second Chance Center for Animals we envision a society that has progressed to place compassion and welfare for all animals at the forefront of the human-animal relationship while respecting cultural diversity and traditions. Our mission is to provide opportunities for a quality life for homeless and unwanted companion animals and to provide resources to enhance the human-animal bond. 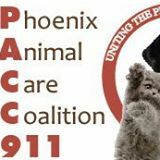 At PACC911, Uniting The Pet Rescue Community, we fill an important community need, PACC911 brings together over 120 animal welfare organizations throughout Arizona, most of which are within Maricopa County. PACC911 provides opportunities for its partners to work together for the benefit of the animal communities.